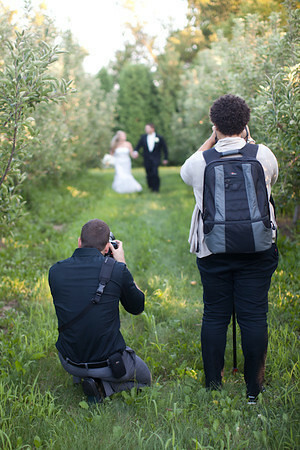 You’re a busy wedding photog. You love nothing more than thrilling your bride with your great shots, but you also realize that to be a successful wedding photographer, there's more to it than great photos. 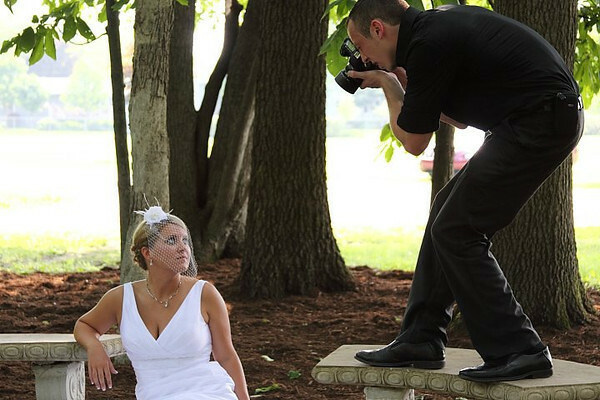 • Link your SmugMug site with SnapKnot, one of the web’s best wedding photographer directories. • Use Two Bright Lightsas your personal publicity platform. Linking your SmugMug site with Two Bright Lights makes it easier than ever to get your images published in wedding and bridal magazines... meaning more potential clients find out about you. Put Those Engagement Photos to Work! • Upload the Engagement photos to a gallery and add that gallery to an Event on your SmugMug site. Have the bride start sharing that event with her friends and family right away. Give the Event a general name (like "Smith-Jones Wedding 2013") so you can add the wedding photos to it too and not have to share a second link. • Build buzz with Be Social: Post a sneak peek of the Engagement Photos to your social channels and get the bride's friends and family excited about the coming event. Turn the engagement photos into a guest book to display at the wedding. Blurb's super-simple book building tool makes this easy and it's available right from your SmugMug gallery. • Use Moo business cardsto share your Event links. With Moo, you can use a different photo from the engagement shoot on the front of each business card. On the back, put a link (or a QR code) to the wedding event on your SmugMug site. By strategically placing them on the guest book table, on the reception tables or into the hands of vendors on the wedding day, everyone will know exactly where to see your photos. • Go for the Wow! factor: Order a large canvas print from the engagement or bridal shoot for display at the wedding. • Use Camera Awesometo quickly snap and share photos throughout the day. Your fans will love seeing what it's like behind the scenes as a photographer. • Be sure to distribute your Moo business cards, the guest book and the canvas at the reception venue. • Process your images as quickly as possible and upload them into galleries (and into your Event) on your SmugMug site. The Lightroom Publish Toolcan help you get those images posted ASAP, and Proof Delaywill give you extra time to make further edits on photos that sell. • Keyword your photos either during your post-processing or after upload. Try using the bride's name and the groom's name for starters. We recommending you also enter the location, venue, colors and anything a future wedding planner may search for on the web. • Use keywords to tag a selection of photos for a slideshow presentation, and a Smart Gallery rule to put just those photos into their own gallery. Then use Animoto or ProShow Webto create the slideshow from those photos. Display the slideshow on the Event page, in an in-person presentation to the bride and groom, or sell it as a video download. • Be sure to show the bride and groom how to browse their wedding Event, and how to pick Favorites to choose photos for their album. • Use the SmugMug gallery description field to write descriptive and welcoming text to encourage guests to buy from you. This is a good time to recommend print sizes you love, any discounts you're offering (see below) and information about how to add items to the shopping cart and check out. • Create a limited time Coupon code (like 10% off or free shipping on all orders) to create a sense of urgency. Be very sure to set an expiry date, otherwise customers will sit on their orders forever. •Send the bride and groom a personalized card thanking them for their business, using the SmugMug card builder and their wedding photos. • Remind them they can make their own Thank You cards for guests and holiday cards later in the year, using the card maker. There are some beautiful designs available that can be customized for any event. Finally, don't forget to market your successful event! Post your photos to your social channels, your blog, Two Bright Lights and anywhere else you go!